If you’re looking for a groovy, boozy kind of brunch this Easter, head to W Singapore – Sentosa Cove for an Eggs-travaganza. 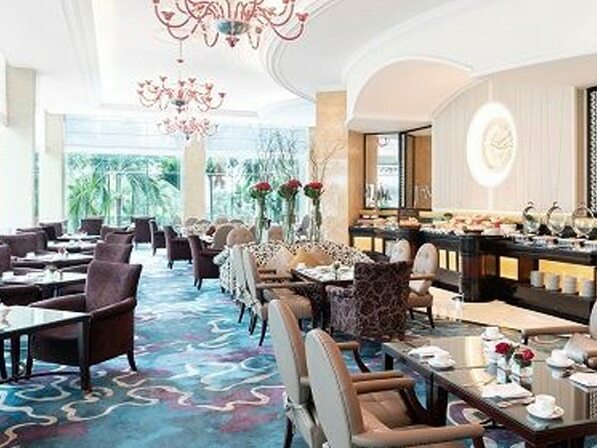 The spread includes a Caviar bar, Oysters, uniquely cured Salmon (Gin & Cucumber | Lavender), a selection of 40 types of French and New World Cheese and a live Foie Gras station. You can also bite into Wagyu Mayura Leg and Whole Roasted Halibut from the Carvery and western creations like Paella Valenciana, BBQ pulled beef “egg benedict.” If you’re bringing the kids, there will be exciting activities to keep them entertained and complementary access to WET® which also has a new W slide. Book now. Brunch: Sunday 12:30pm – 4pm: $168++ for food only and $228++ for bottomless bubbly, wine, cocktails and mocktails, kids 4 – 12 years old dine for $88++, kids under 4 dine for free. 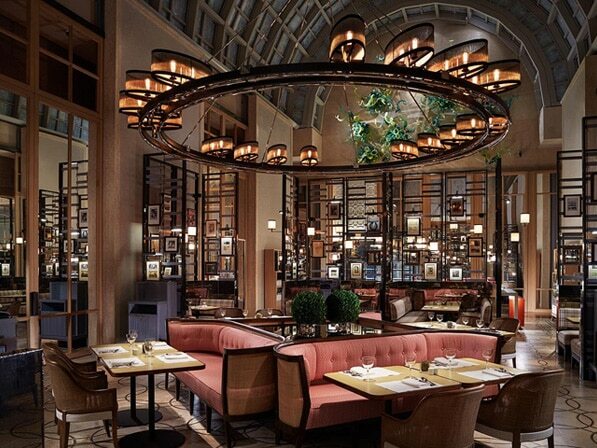 For something a bit different from your usual brunch haunts, head to the newly opened Capitol Kempinski where you have two divine brunch options: a decadent spread of international dishes at 15 Stamford by Alvin Leung or a smorgasbord of German delights at Frieda. Both offer free-flow options as well as fun activities for the kids like an Easter egg hunt, face and body painting, balloon sculpting and a visit with the Easter Bunny. Book now. 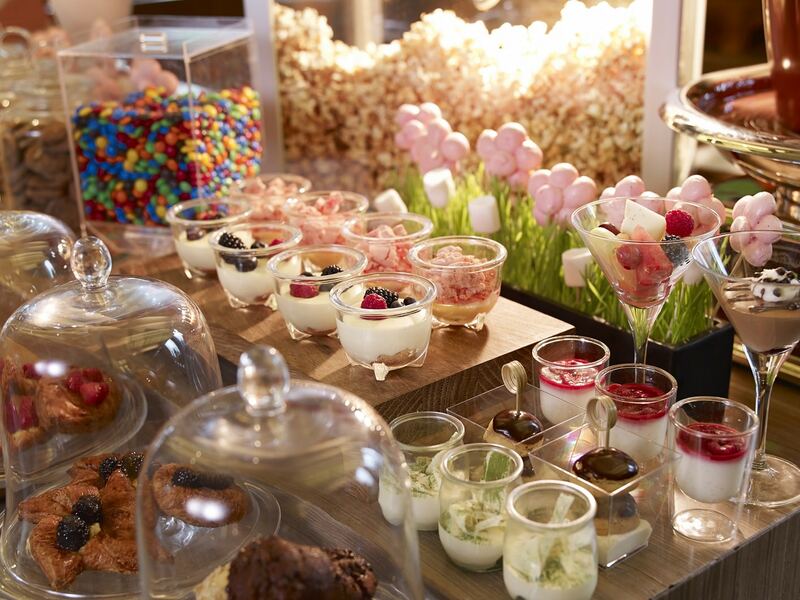 You’d be hard-pressed to find an Easter brunch more over the top than the vintage champagne Sunday brunch at the Ritz Carlton. Think mouthwatering eats like , canapes at “The Hatchery”, a special ‘live’ station featuring smoked chicken with Acceglio cheese ravioli, caviar and flambé foie gras, as well as chocolate Easter eggs. Then there’s the free-flowing Bollinger La Grande Année 2007! Book now. $388++ per adult including unlimited pours of Bollinger La Grande Année 2007, $228++ per adult (includes unlimted pours of Champagne Barons de Rothschild Réserve Ritz Millésime 2010, Champagne Barons de Rothschild Réserve Ritz Rosé NV, house pour red/white wines and draft beer) $116 ++ per child (6 – 12 years old) and $57++ per child (3 – 5 years old). Pre-payment required. If you’re looking to impress guests visiting from out-of-town, Michelin-starred Lewin Terrace is a pretty solid bet. 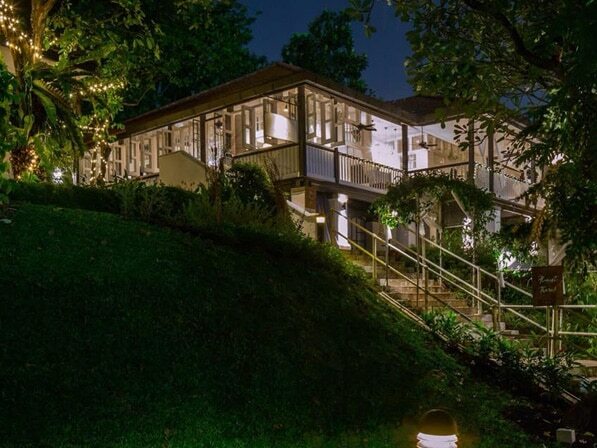 The restaurant is set in a beautiful black and white colonial bungalow surrounded by lush greenery in Fort Canning Park. 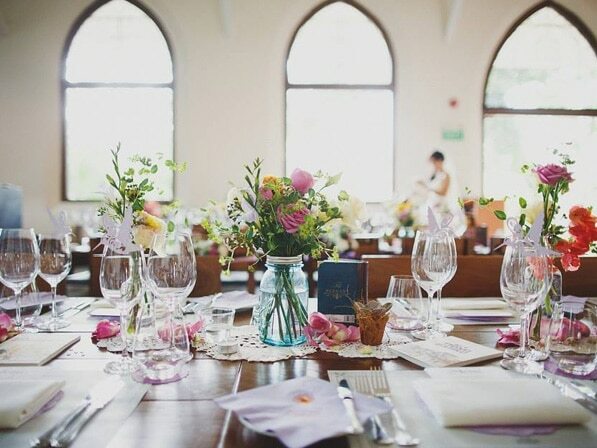 The food is just as elegant as the setting with Easter specials like the mushroom tomato risotto and grilled duck breast with seasonal spring vegetables. Try to get a seat on the veranda if you can so you can really enjoy the views. Book now. Every year White Rabbit throws a wild Easter celebration with fun, games, great food and cheeky drinks. 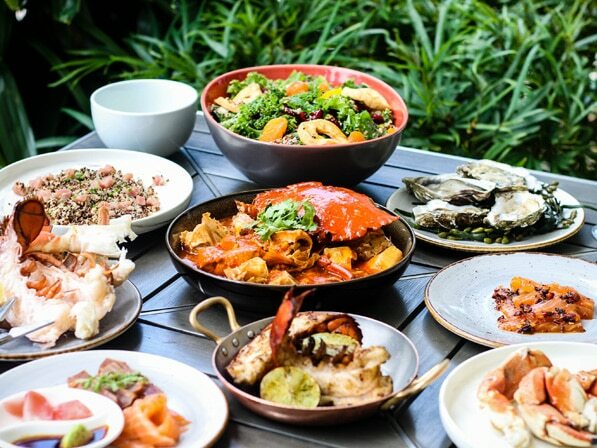 The huge brunch spread includes scrumptious eats like fresh seafood, tasty salads, hearty roasts and delectable desserts. Adults can sip champers or G&Ts in the cathedral-like dining room or the garden while little ones romp around the grounds and take part in fun activities like Easter egg painting and jumping in the bouncy castle. Book now. 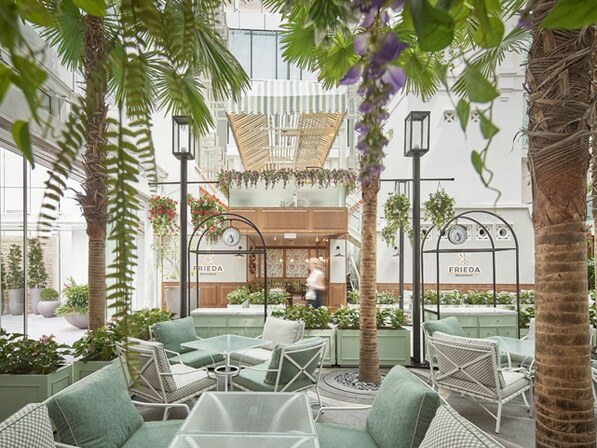 Gather up the whole gang this Easter Sunday and bring them down to Capella Singapore for an afternoon of delish food, free-flowing drinks and entertainment for all ages. The brunch spread will feature highlights like rotisserie chicken, honey-baked ham and irresistible sweet treats. Little ones will love the live magic show and outdoor playground, and all guests can take part in the Easter egg hunt for a shot at winning great prizes like a free night in a one-bedroom villa. Book now. 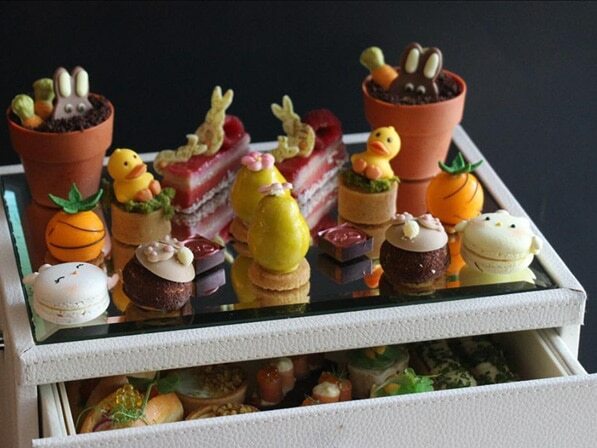 For the entire month of April, Anti:dote will be celebrating Easter with a daily afternoon tea. 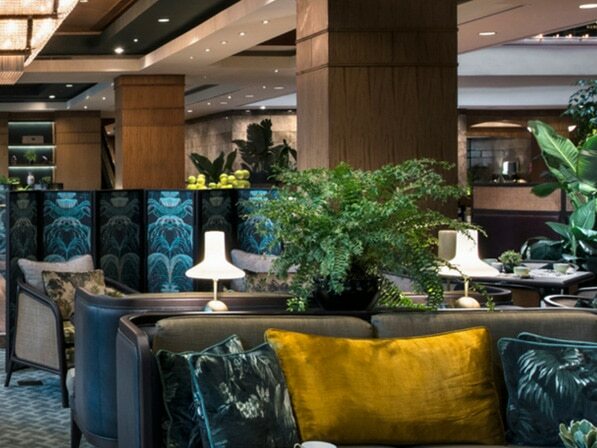 Settle onto one of the stylish sofas and snack on delicacies like salmon tartare, basil oil caviar sandwiches, crispy foie gras, hot cross buns and desserts like carrot tea cake, tiramisu and the ruby chocolate opera cake. To accompany the spread you have your choice of coffee, tea, champagne or the special Eh? What’s Up Doc cocktail with gin, tea, lemon thyme acid, carrot juice and pineapple juice. Book now. 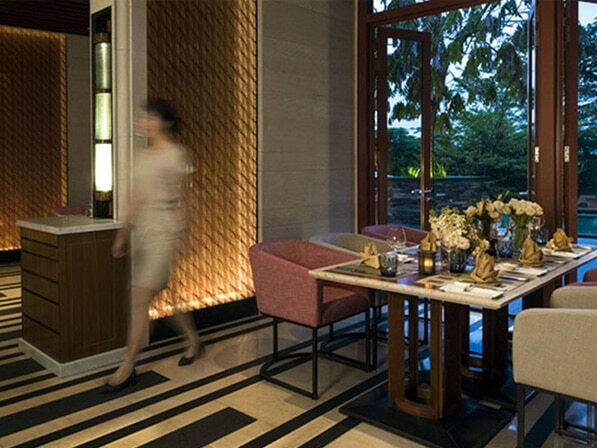 Spend the afternoon sipping and snacking in a lovely setting at the Rose Veranda in the Shangri-La. The Easter high tea buffet includes classic offerings like finger sandwiches and hot cross buns, as well as Easter-themed desserts like chocolate eggs, cupcakes and the to-die-for hazelnut magnum. Even better, the high tea includes a glass of Prosecco to get the afternoon started off right. There are two seatings and reservations are essential. Book now. Make your way to the Tea Lounge at the Regent Singapore this Easter weekend for an indulgent afternoon tea featuring an array of Eastern and Western dishes. Think slow-roasted angus beef tomahawk marinated in whisky and rosemary, lobster laksa, river prawn congee, steamed Atlantic cod with a vibrant Singapore Nonya sauce, and delightful desserts like smoked match eclairs and yuzu madeleines. Book now. April 20 – April 21 12pm – 2:30pm, 3pm – 5:30pm. 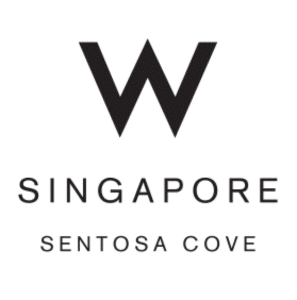 A trip to Sentosa Island always feels like a vacay, especially if you book into a spot like the W Singapore – Sentosa Cove for a night or two. 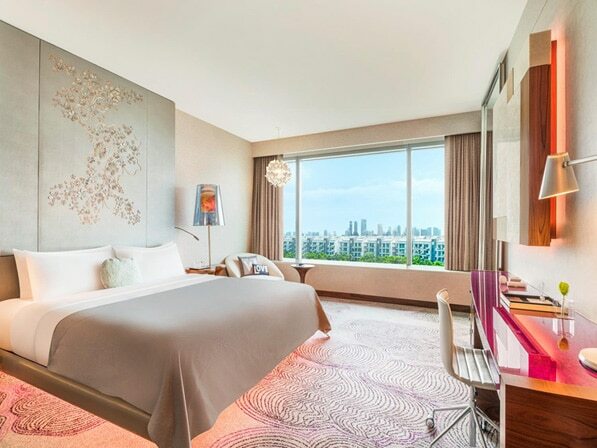 Here you’ll find lush greenery, seaside views and vibrant rooms and facilities with a focus on fresh design, fashion and music. Spend the days and nights hanging out by the 24-hour WET® pool, getting pampered at award-winning AWAY® Spa, dining on contemporary cuisine at SKIRT and grooving out to stellar beats at WOOBAR. The Staycay With Us package gets you 50% off the second night when you book two nights in the Wonderful Room or the Fabulous Room from Friday to Monday, over the weekend. Book now. 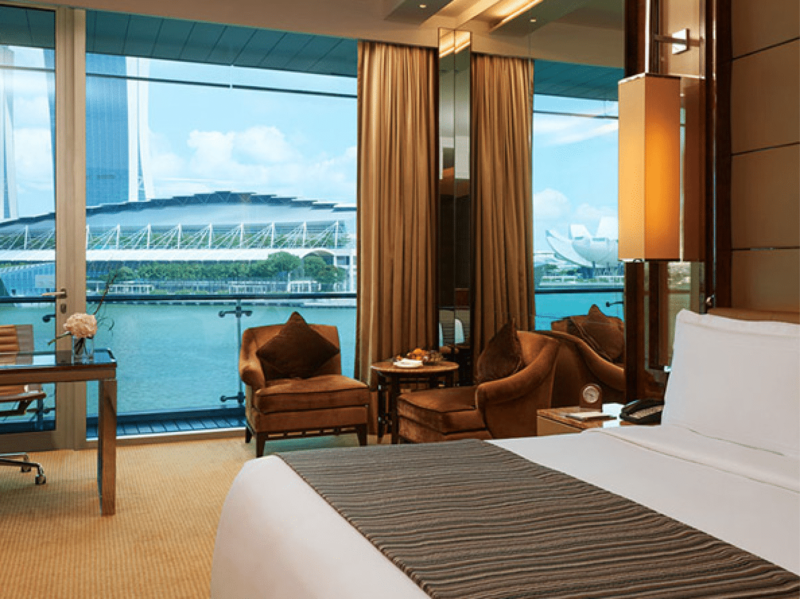 If you want to be in the midst of all the waterfront action, The Fullerton Bay Hotel boasts an enviable location right on Marina Bay. The luxurious rooms here feature plush beds, huge windows that afford views over the water, and all the mod cons you could ask for. 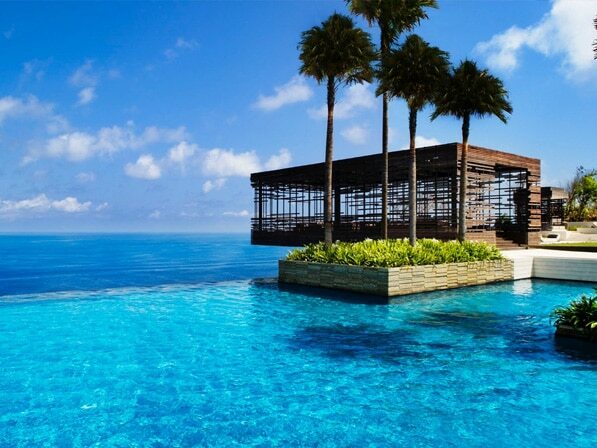 We also love the stunning rooftop pool, elegant restaurants serving up gourmet eats, and the Lantern Bar where you can order up artisan cocktails and watch the sunset. Book now. Set in a black and white colonial building in the Labrador Nature Reserve, Villa Samadhi feels like it’s a world away from Singapore’s buzzing CBD, yet it’s only a 10-minute drive away. 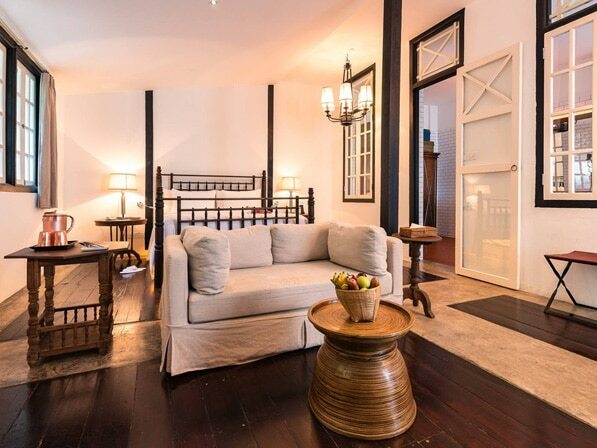 The boutique hotel has just 20 rooms, which adds to the intimate ambiance, and each has modern amenities and gorgeous bathrooms with rain showers and wooden tubs. The hotel does not allow children under the age of 16, making this a great spot for couples looking for a quiet escape. Book now. Hip and happening Ann Siang House makes for a stylish spot to get away without actually leaving the city. 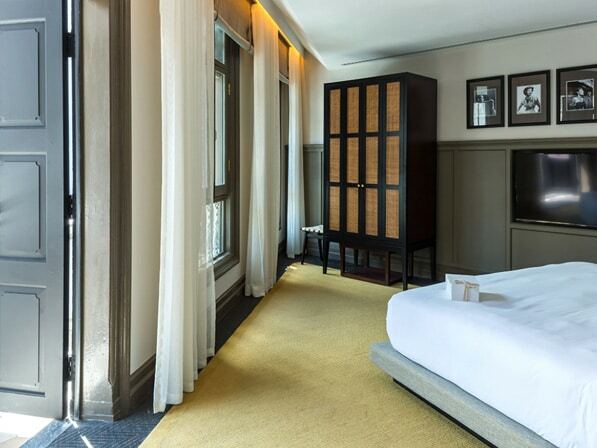 Set in a heritage shophouse, this cool lifestyle destination offers 20 spacious rooms where no attention to detail is spared, as well as a slew of drinking and dining destinations. Some of our faves include The Other Roof for contemporary cocktails and city views, Pandora’s Garden for its lovely outdoor setting, and Blue Label Pizza & Wine. Book now. It’s all about clifftop living at its finest at this dramatic five-star resort perched on the top of a cliff 100 metres above the Indian Ocean. Each luxurious villa boasts a private pool, sleek furnishings, design elements of natural stone, wood and water, and spectacular views out to sea. We wouldn’t blame you if you wanted to stay in your villa all day, but if you do want to explore, you have world-class surf breaks, temples and beaches close by. 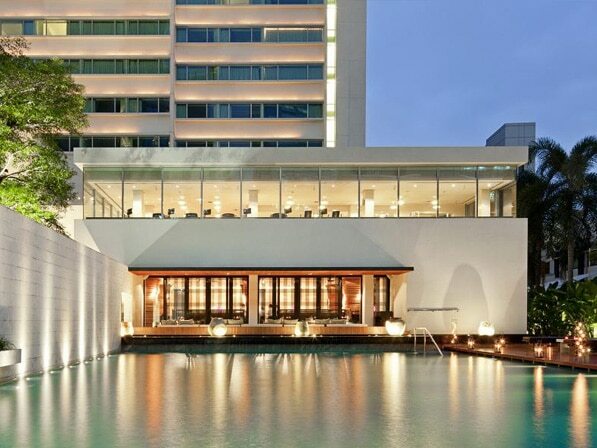 Modern, minimalist and conveniently located in the CBD district of Sathorn, The Met has everything you need for a fun urban escape. Spend your days shopping or exploring Bangkok’s many temples and lively neighbourhoods, then come back to an oasis of calm where you can dine on award-winning cuisine, indulge in some of COMO’s world-famous wellness treatments and cheers to a great vacay at the sleek Met Bar. Picture this: a private chauffeur picks you up in Singapore and whisks you off to a private seaplane. 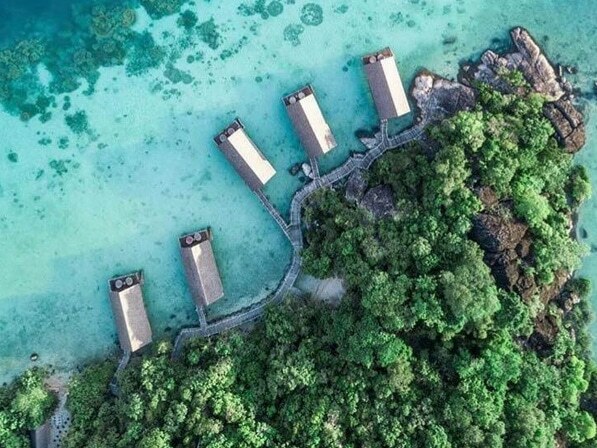 After a short 80-minute flight, you land in tropical paradise where turquoise waters lap against white sand beaches and wooden bungalows are perched on stilts above the water. For the rest of the holiday everything is taken care of for you including meals, spa treatments and adventures. Welcome to Bawah Reserve, an ultra all-inclusive island resort just a hop, skip and a jump away. If you’re looking for a quick and easy getaway that isn’t too far, yet offers a completely different vibe from Singapore, Malacca is a good choice. Wander through the colourful streets of Malacca and you’ll find fascinating historic architecture, bustling markets and beautiful temples and mosques. 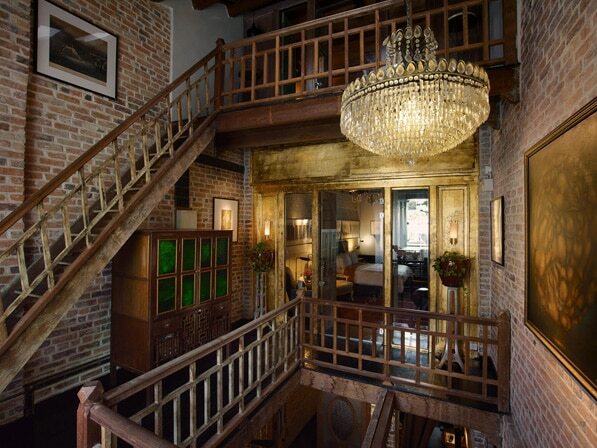 We suggest staying in either Opposite Place, The Stable or 45lekiu, a trio of intimate, beautiful hotels just off Jonker Street.